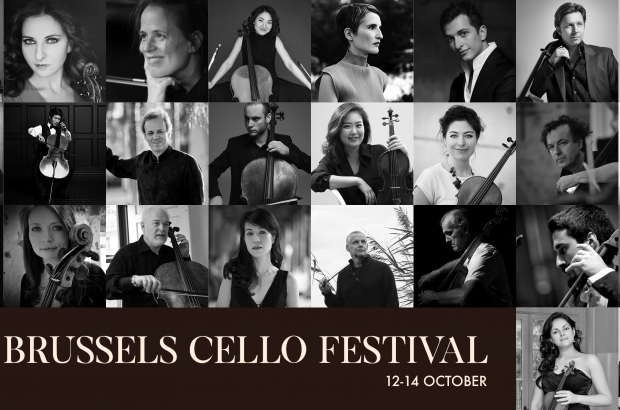 The first edition of the Brussels Cello Festival is welcoming international cellists for a three-day programme (12-14 October) of solo recitals, concertos, masterclasses and chamber music ensembles in the centre of Brussels. Prominent invited artists include Alexander Buzlov, David Cohen, Roel Dieltiens, Anne Gastinel, Marie Hallynck, Gary Hoffman, Paul Katz and Pieter Wispelwey, under artistic director Han Bin Yoon. The new initiative was created to organise, promote, and support cello playing in Belgium. “We cellists love to create a sense of community wherever we go, which is why one can find a cello society in most capitals of the world. When I saw that Belgium did not yet have its own cello society, I knew that I needed to help fill this void in the Belgian music scene,” says Yoon. While he initially moved to Belgium from Los Angeles in 2014 for a three-year artist residency at the Queen Elisabeth Music Chapel, Yoon quickly envisaged settling in Belgium. “My life started developing so well here that I started imagining life in Europe,” he says. Win! A pair of tickets to the Brussels Cello Festival. To enter the draw, simply fill in your details below. We'll pick the lucky winners at random on Tuesday 9 October at midday. It would be most helpful to be notified that a submitted email was received. I got a message which read: Thanks for entering the draw. We'll be in touch if you're selected! How can i participe for the tickets ?